Win an Easter Egg Hamper with QuoteSearcher! Home Blog Win an Easter Egg Hamper with QuoteSearcher! 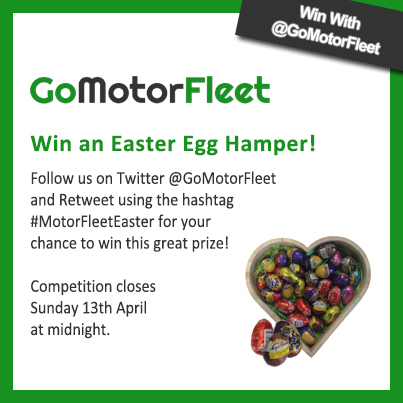 Here at QuoteSearcher we know that fleet managers usually spend their days with dozens if not hundreds of people within their team, which is why we are helping you all celebrate Easter together by giving away an Easter Egg Hamper on Twitter! This hamper is filled with all your favourites including Creme Eggs, Galaxy Eggs, Lindor Eggs and more! For your chance to win this delicious prize (and make everyone in your fleet extremely happy) just follow us on Twitter @QuoteSearcher and Retweet using the hashtag #MotorFleetEaster. Competition closes Sunday 13th April at midnight. Good luck and Happy Easter everyone!